How much does it take to make an indie game? How long until one makes a profit? The metrics on this kind of thing are always mysterious but a new post on Indie Fund's official website gives some enlightening information with regard to the first game funded by the small-developer investment collective to see release. Q.U.B.E. got a $90,000 investment from Indie Fund, which enabled Toxic Games to complete their puzzle platformer and release it on Steam 10 days ago. It took Toxic only four days to recoup the investment, meaning that they can repay that money and keep the majority of earning from here on out. The Indie Fund post also notes that Toxic may be able to bring Q.U.B.E. to other platforms in the future. 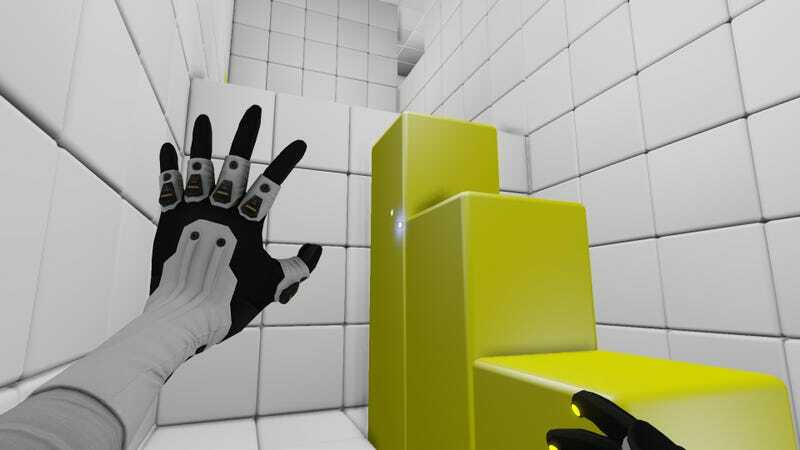 We liked what we've seen of Q.U.B.E. around these parts. Luke Plunkett saw it way back when Toxic Games' puzzle platformer was early in development and then Stephen Totilo saw it at last year's PAX Prime. The difference in the look and feel from those two encounters shows off what a major infusion of cash from Indie Fund can do. Now the economics for Toxic and Q.U.B.E. are probably different from those of other indie games. But this cycle shows that indies funding indies can be successful, with good games and promising developers able to get games to players for something other than a $60 price point.